Series: What in the World??? 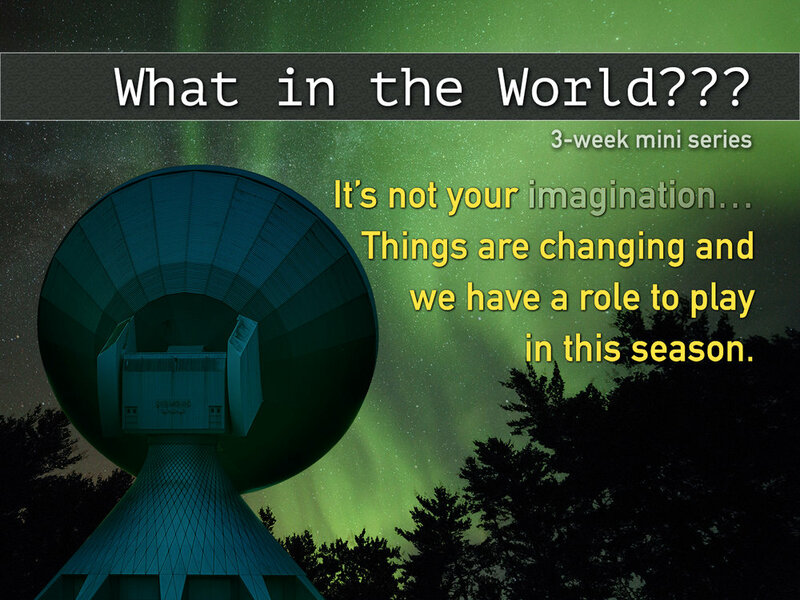 In this 3 week mini-series titled, "What in the world? ", Pastor Bobby Brewer explores what is going on in the world today and the disorder that we seem to find ourselves in. 1/13-14 | Pt 1: "New World Disorder"
1/20-21 | Pt 2: "False christs & prophets"
1/27-28 | Pt 3: "Kingdom Come"